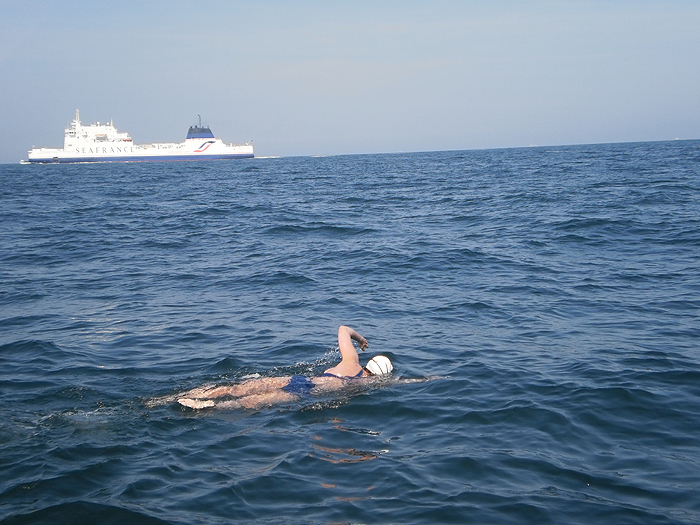 Myself & 5 fellow northern folk, all novice open water swimmers, recently decided to attempt to relay swim the English Channel in Summer 2014- a significant step beyond our usual open water river & lake adventures. I’ve been reflecting on what it took “in me” to make this “conscious choice”. Was I really conscious in my choices? Was I really able to freely choose? I believe I did have “conscious choice”, whatever the constraints I was and wasn’t aware of – but the key question for me was how I did it? The first step was facing the reality of my current abilities, and accepting my own part in being the novice open water swimmer I am today – and being clear what I was good at too. Then I could dare to believe how great I wanted to be, and explore some exciting and scary possibilities – including what doing something BIG might be like – with other fine folk – inside newly forming relationships. Making the conscious choice and committing to do Channel Relay 2014 IS is a step into the unknown – scary and exciting all at the same time – and I know I’m responsible and accountable for making the choice to go for it. It strikes me that when I work with leaders and teams, I encourage them to take exactly these same conscious commitments and choices about what THEY want to and CAN make happen – and step in and have a real go. How are you choosing to see others?